I have an unspoken Love for Chandeliers, always have….. I particularly LOVE them over dining tables! It’s such a dramatic look, not to mention is totally amazing! 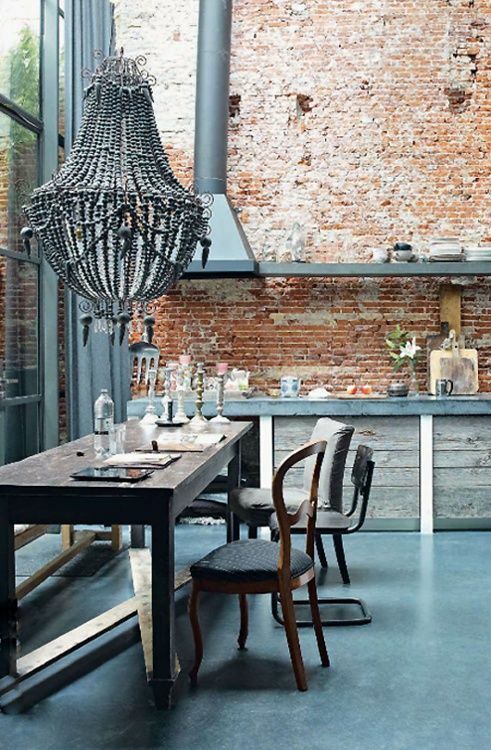 I mean Who wouldn’t want to eat their dinner under a magnificent chandelier….. 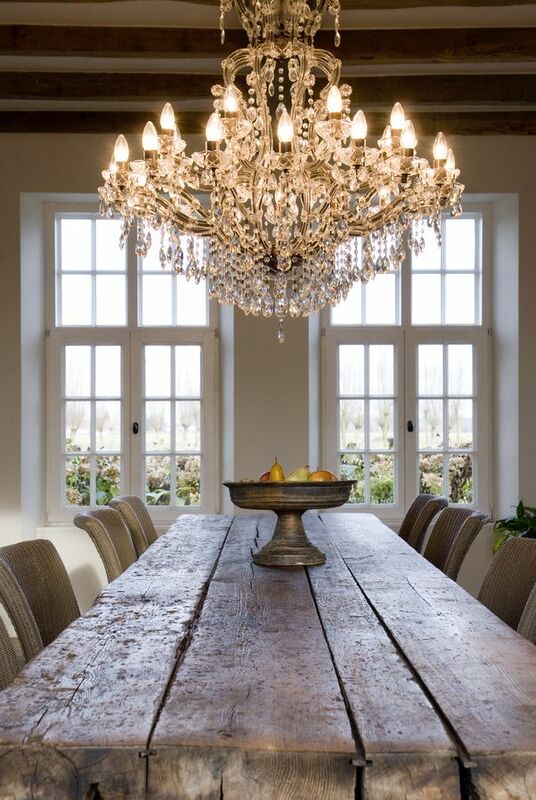 This incredible dining room Chandelier spotted at TimelessLiving ….. I would love to have my dinner sitting under it! 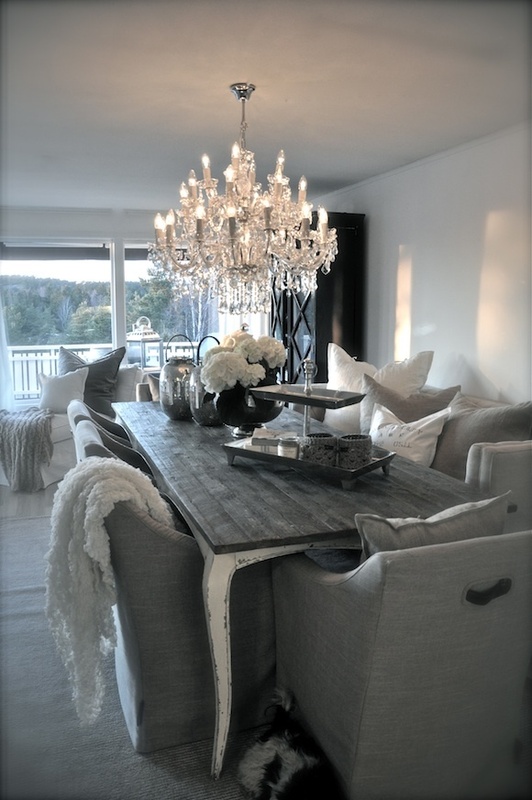 This creation found at Envers has to be one of my favourite Chandelier dining rooms….. 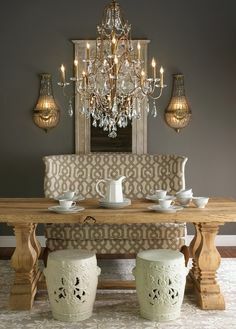 The Chandelier, the chairs…… there is just so much amazingness to look at in one room! It’s a common belief that in-order to have a chandelier in your home, you MUST have high ceilings…. Whilst this remains true if you were planning to put a chandelier in your entry away, or living room…….just to make sure you don’t hit your head. Butttt……. a chandelier over your dining table is a sneaky way of making it “work” with a regular ceiling height, as they should hang around 60″ to 66″ above the dining room floor! 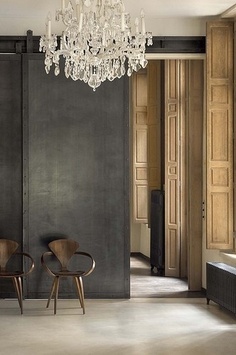 And here are a couple more Chandelier inspiration pictures……. I particularly LOVE how these designers have put a modern spin on a “vintage style piece” the Chandelier! My Canadian month that was…..
A blog about life and baking and getting it all together. Or at least hilariously trying. It's always an adventure! Find more at chuckandwelly.com!